Bernal Heights, 2013. UNSEEN at Cult Exhibitions, SF, CA. Albuquerque Museum of Art, 2009. LAND/ART NM, courtesy of Richard Levy Gallery. Detail, Albuquerque Museum of Art, 2009. LAND/ART NM, courtesy of Richard Levy Gallery. 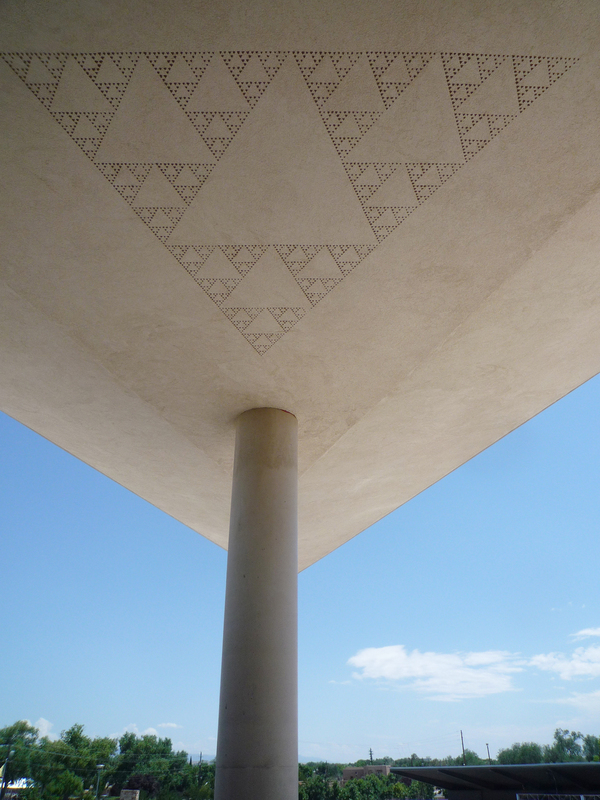 The Sierpinski Gasket is an iconic example of a fractal, a mathematical model used to model organic growth patterns. 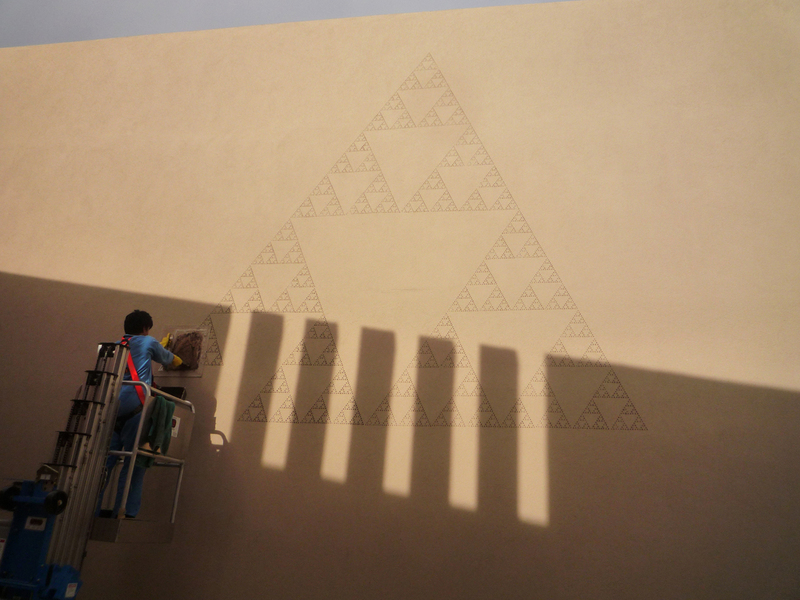 Sierpinski Gasket, 2007-ongoing, is created using site-specific dirt and a hand-made stencil.